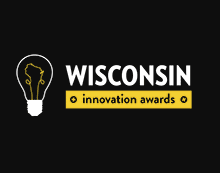 Ten winners winners were honored from the thirty-three finalists and more than 350 nominees during the 2018 Wisconsin Innovation Awards at the Wisconsin Union Terrace. The ceremony, emceed by local entrepreneur and Filament Games Vice President of Sales, Jennifer Javornik recognized the state’s most innovative products and services from nine industry categories. 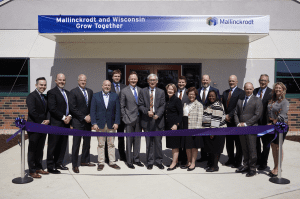 The 2018 winners were selected from a panel of 21 experts with backgrounds in many business sectors – technology, food, healthcare, agriculture, nonprofits, education, government, and the like – from throughout the state of Wisconsin. CORNCOB developed a dynamic disc membrane system that allows customers to treat their wastewater at a lower cost with less space needed. This innovation is mobile, saves energy, and is flexible. Applications have included water treatment at breweries, landfill projects, and potato processing operations. The Mill is a modern industrial venue with modern conveniences and a variety of elegant and versatile spaces. The Mill is a 100 year old structure that has been a landmark and icon: the former Chetek Feed and Farm Supply which had sat vacant for nearly 15 years and was in such disrepute that the City of Chetek was going to condemn the structure. In Chetek there are no large gathering spaces for private or public events. The Mill offer a solution to that need with a large facility with many modern conveniences, bringing economic benefits to the town. TCARE enables family caregivers to keep their loved ones at home longer. TCARE’s enterprise SaaS solution partners with government and healthcare entities. TCARE uses its scientifically-validated algorithms to create an individualized care plan, which reduces stress and burnout of caregivers and allows their loved ones to age in place. LAUNCH is a new approach to education that connects a student’s academic knowledge to real-world business problems and projects. Juniors and seniors from the Elmbrook School District have the opportunity to pursue course strands designed to foster teamwork, develop professional skills, inspire creativity and entrepreneurship, and explore career pathways. LAUNCH will create a regional hub for innovation, entrepreneurship, and creativity imagined by over 100 business partners, higher education and local community partners. Propeller creates products to more effectively treat diseases like asthma and COPD, and improve clinical outcomes for patients through connectivity, analytics, and companion digital experiences. Propeller’s FDA-cleared digital device includes a sensor that clips to a patient’s existing inhaler. The sensor syncs to a mobile app. Patients use their medications as normal, and Propeller tracks the usage automatically. Patients can share the insight and progress from Propeller with their physician or care team, creating a better understanding of the patient’s disease. Photonic Cleaning Technologies has developed a contamination control technology that has potential use in any application requiring surface cleanliness. The product is an easy-to-apply, low adhesion, residueless, peelable coating that both protects and cleans precision surfaces. The system is faster, simpler to implement and, in the end, cheaper than competing solutions while attaining unprecedented levels of cleanliness. Rebalanced-Life Wellness Association opened the nation’s first Men’s Health & Education Center to eliminate health disparities and bring preventative healthcare to men of color from a location that they trust and respect, Madison’s largest black barbershop. SmartUQ is an industrial-scale uncertainty quantification and analytics software toolset. SmartUQ is currently helping some of the world’s largest engineering firms save millions of dollars by allowing them to derive the maximum amount of information from data, accelerate design processes through analytics, anticipate uncertainty, and mitigate risks. MatchBack Systems is a logistics Software as a Service company with an innovative approach to automating matching import shipping containers with export bookings (“matchbacks”), leading to lower costs, improved efficiencies and reduced emissions. TORQ LABS’ smart leggings improve performance and reduce lower-body joint injuries by taking five lightweight wearable sensors that insert into a performance legging and connecting it to a user’s mobile device via bluetooth. Torq brings lab grade technology outdoors to enhance performance and safety. Led by a steering committee of business, community and entrepreneurial leaders, the WIA hopes to encourage an even greater environment of innovation by bringing innovators together from various business sectors (e.g. 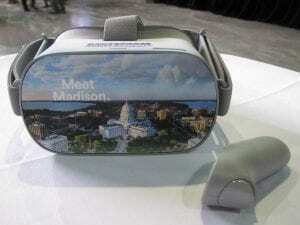 tech, food, healthcare, agriculture, nonprofits, education, government), and from throughout the state of Wisconsin.